Just one week after Robert Englund revealed his favorite Freddy Krueger kill of all time, another retro blast from the past has surfaced from the Nightmare on Elm Street franchise. 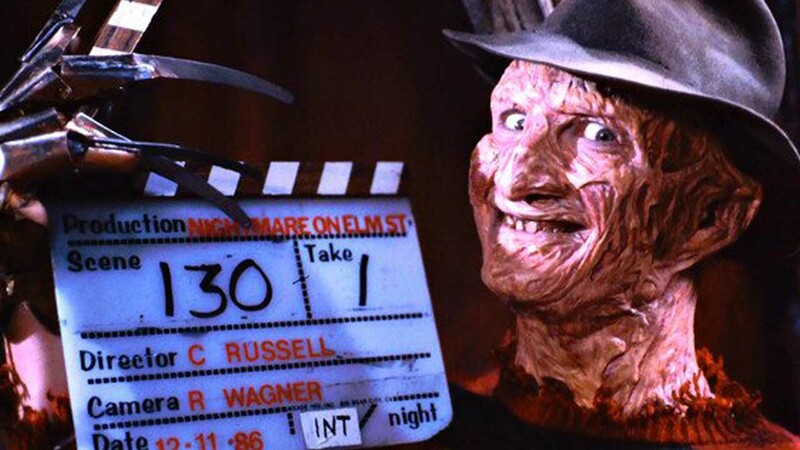 A rare, unedited interview was unearthed from the set of the 1987 horror sequel A Nightmare on Elm Street 3: Dream Warriors, where Robert Englund gives an interview to HBO while in full costume and staying in character as Freddy Krueger. The video is quite hilarious, with Freddy Krueger talking about a variety of topics such as the underlings who do his bidding for him, while giving beauty tips to the ladies and even giving driving directions to the now-iconic house on 1428 Elm Street. When asked about his childhood, Freddy reveals that it was very “convoluted,” teasing that fans will have to watch Dream Warriors to find out more about his backstory. When asked about his “career goals,” the iconic killer adds that he wants to be on The Joan Rivers Show. Ironically enough, Robert Englund himself did in fact appear on The Joan Rivers Show in 1987 to promote A Nightmare on Elm Street 3: Dream Warriors. When asked if he has any “representation,” since he’s a big Hollywood star, Freddy reveals that he used to be represented by Linda Blair of The Exorcist fame, before explaining that he’s now repped by “The Jason Agency,” which appears to be a subtle nod to Friday the 13th icon Jason Voorhees. He even gives directions to the actual Elm Street house, which, judging by Freddy’s directions, is in Los Angeles, with Freddy revealing that it’s “below SAG,” meaning the Screen Actor’s Guild headquarters on Sunset Boulevard, and east of LaBrea. When the interviewer asks why Freddy decided to invade the dreams of his horrified victims, Freddy teases that he was “down there,” meaning hell, but he never quite made it, and now he’s in what he described as a “sequel purgatory,” and the best way to “invest himself” is to take advantage of people’s fears and flaws in their dream state. He also teased that in part 4, he wants the story to take place in a more tropical locale like the Bahamas. The video ends with Freddy Krueger giving some beauty tips for the ladies, explaining that the secret is using kerosene and baby oil. The same four-minute segment repeats after it’s done, although there is no sound in the repeated segment. Freddy does mention that this video is being made for HBO, so perhaps this interview was filmed to use as a piece of filler promo to be played before the movie aired on the pay cable network. There has recently been talk of New Line rebooting A Nightmare on Elm Street again, after their 2010 reboot with Jackie Earle Haley as Freddy Krueger was not such a hit with fans and critics alike. Robert Englund himself has stated that he wants a Freddy Krueger prequel, but it isn’t known if that will ever happen. While we wait for more on the fate of this franchise, take a look at this hilarious frightening video from the set of A Nightmare on Elm Street 3: Dream Warriors.